Ships tomorrow if you order in the next 20 hours 23 minutes. For most of us, a healthy digestion can influence everything else about our bodies. When our digestive tract is not operating at full health, it can throw anyone off track. So, proper support for digestion makes it easier to get through the day, every day. 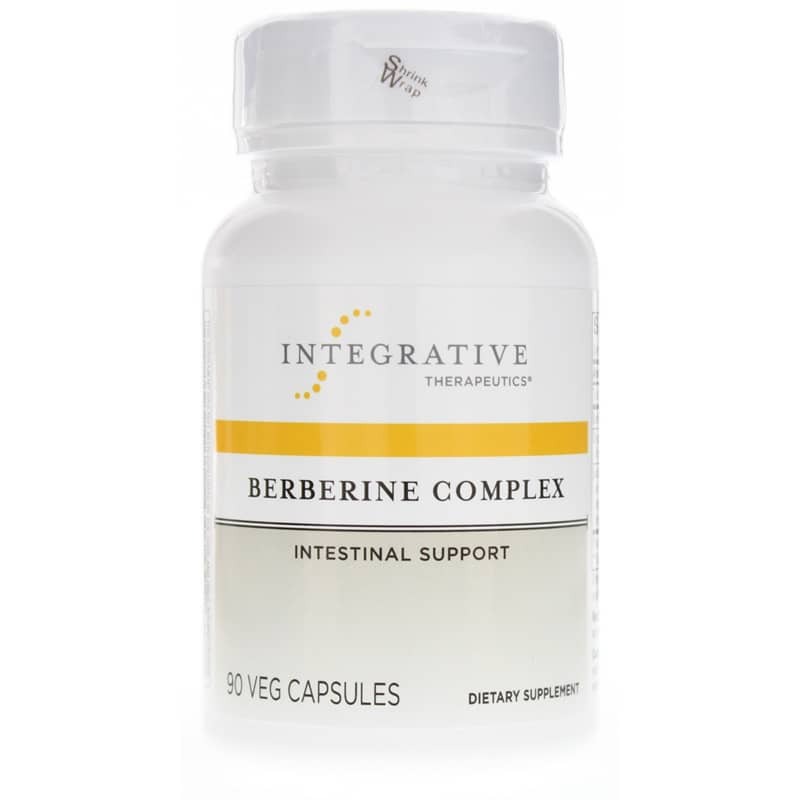 Berberine Complex provides natural support for the healthy bacteria in the digestive tract, which also supports the immune system, by helping balance intestinal flora. Berberine is a chemical found in numerous plants, including European barberry, goldenseal, goldthread, Oregon grape, phellodendron, and tree tumeric. And this formula includes extracts of barberry, Oregon grape, and goldenseal. Contains NO: sugar, salt, yeast, wheat, gluten, corn, soy, dairy products, artificial coloring, artificial flavoring preservatives or ingredients of animal origin. This product contains natural ingredients; color variations are normal. 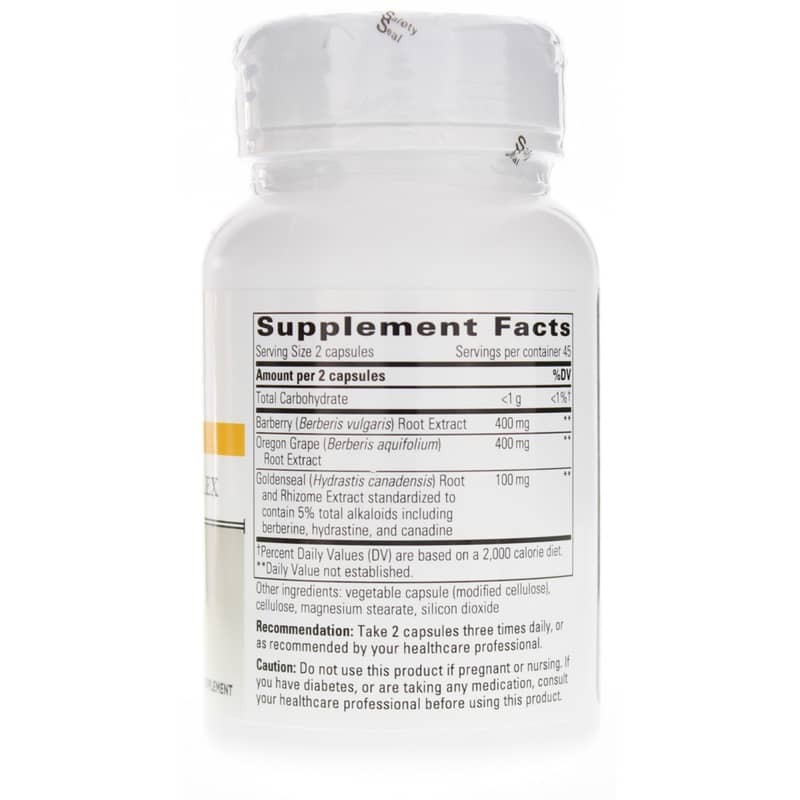 Adults: Take 2 capsules three times daily, or as recommended by your healthcare practitioner. Berberine Complex was prescribed by integrative medicine doc. My husband takes 3/day of Berberine Complex, 90 Vcaps, Integrative Therapeutics. We're happy. No side effects that he has noticed. I take 1/day and haven't felt any side effects.